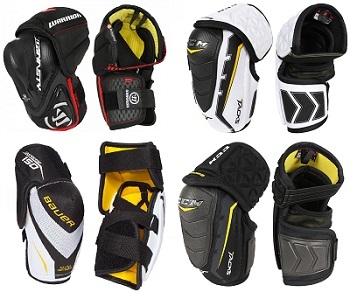 Why do you need Elbow Pads for Hockey? The main purpose of elbow pads is to protect your elbows from impacts with the boards and ice, but they can also help protect your forearms and lower biceps from slashes. When you fall backwards or sideways it’s quite common to land on your elbows. This is especially true for beginners, who are more likely to flail their arms back to try to catch their balance. 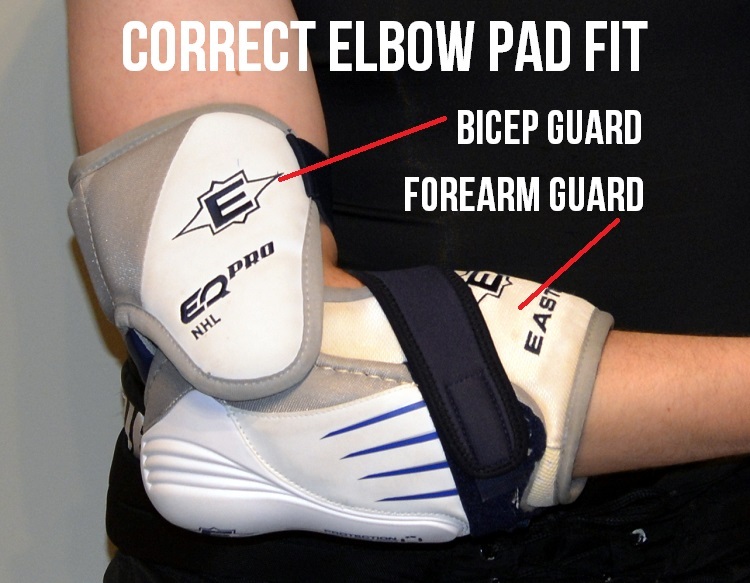 For this reason, elbow pads can be a great idea not just for hockey, but also for all on-ice activities including pond hockey, lessons, and public skating. Other companies like STX, Graf, Powertek, Tron, DR, Sher-Wood, etc. also make elbow pads. Graf is going out of business in North America, while brands like Tron and Powertek are entry-level “budget brands.” Sher-wood is best known for its retro style, all-foam elbow pads, but also makes some good modern ones. The typical price range for new, non-clearance elbow pads is approximately $25-150. The cheapest elbow pads have no plastic shell, are composed entirely of low quality foams, and usually cost around $25-30. These are not recommended for hockey because they offer minimal protection – a fall with one of these can cause some nasty bruises or worse. One step up from these are the low-end elbow pads with plastic shells ($30-45). These have a thin plastic shell with a thin foam liner, and usually a small amount of mid-density PE foam in other areas like the bicep and forearm. Still lacking in protection, but substantially better than the all-foam ones. Moving up from those, higher end pads ($60+) will have thicker plastic and foam, better straps, and increased protection on the forearm and lower bicep. They can also feature high-tech materials for better lightweight protection and faster drying. Occasionally these can feature an all-foam design rather than being based around a plastic shell, but they bear little resemblance to the cheap ones mentioned earlier. Unlike other pieces of equipment like gloves and shin pads, elbow pads don’t really have a hard and fast rule for measurement – if it feels like a good fit to you, chances are it’s fine to wear. It’s not uncommon for jump from size to size when going from one brand to another, either. However, there are some important considerations when it comes to fit. The ideal fit for an elbow pad is mobile yet secure. This means it should not feel restrictive when bending or extending your elbow, nor should it feel like it’s slipping off when you shake your arm around. 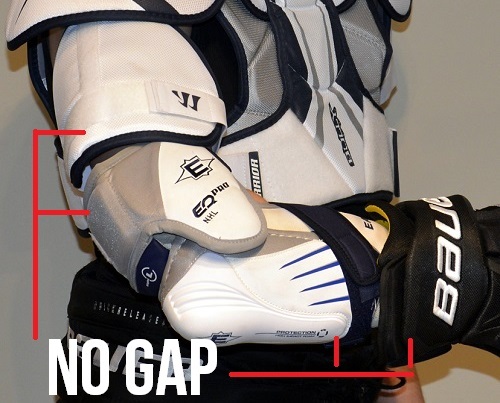 Additionally, there should be no gaps in protection where the elbow pad meets the cuff of your glove, or where the top flap meets the bicep guard of your shoulder pad (some shoulder pads can adjust here too). If there is unprotected space near the wrist, but the elbow pad seems to fit well otherwise, you can buy padded wrist guards to fill up this space. Some mistakes I often see among beginners are putting the elbow pads on the wrong arms (common) or upside down (less common). To prevent this, here are some pointers detailing the right orientation for your elbow pads, contrasted with some wrong ones. The first thing you’ll notice are the protective flaps. Most elbow pads have two flaps – one to cover the forearm, and one for the lower bicep. The bicep guard is hinged so it can move with you as your elbow bends, and it’s connected to the main section at the back of the elbow. This hinged flap should be at the top of your arm. Some cheap elbow pads don’t have much of a bicep guard. In this case, you can also look at the main shell piece to figure out which way is up. Looking lengthwise at the elbow pad, you will notice that the shell is longer and straighter going away from the elbow in one direction than it is in the other. This longer, straighter section will point down towards your wrist, while the shorter, curved section will point upwards. Now we know which way is up, but how to tell left and right elbow pads apart? The rule of thumb is to always have more protection on the outside of your arm. Imagine crossing your arms while wearing your elbow pads – when doing this, you want the forearm guard to be facing away from your body. If there are two forearm flaps, the larger one should face out. 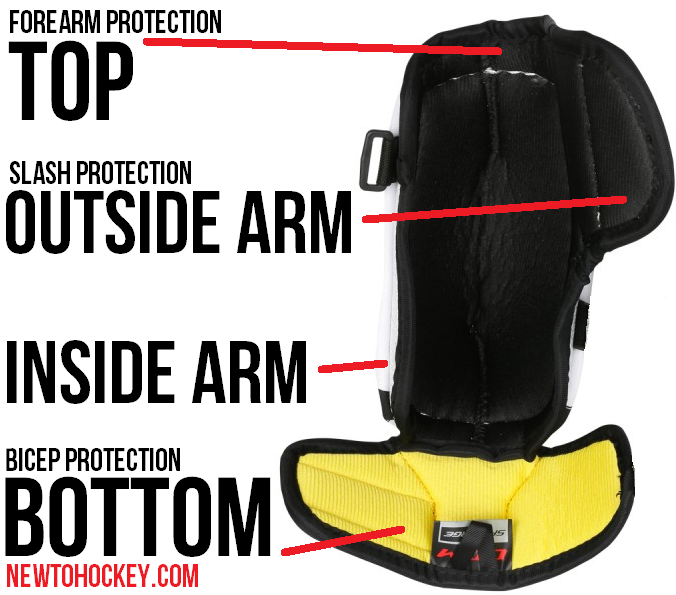 Keeping the outsides of your arms covered will ensure you’re protected in your hockey stance. Many elbow pads are designed to be secured to the arm using only the bottom strap(s). The strap near the bicep is intended to be much looser, as its only purpose is to stop the bicep guard from flopping around. Doing this strap up too tightly can result in reduced arm mobility and pinching when you bend your elbow. Depending on the elbow pad, it is often possible to “set and forget” the straps. Once you have found a strap setting that works well for you, try simply sliding the pad on and off rather than undoing the velcro every time. Which Elbow Pads are Right for You? Normally I would use this section to go into detail on the main fit categories – for example, in the Pants fitting guide I discussed wide/tapered/girdle-style fits. However, elbow pads don’t really categorize well this way. Although there is some variation in design (eg. 2-piece or 3-piece construction), there is just as much variation in fit and performance when comparing different two elbow pads within the same category, as there is between the categories themselves. I would recommend trying on everything and making a decision based on which individual unit feels the best. Note from Jeremy – The biggest difference you will find when looking at elbow pads is the amount of bulk. Elbow pads used to be made with (in my opinion) excessive and bulky plastic elbow caps. When selecting an elbow pad look for something that can protect you from slashes, but also a hard fall. It is common for players to throw their arms back when falling backward, which may lead to a hard impact directly to your elbow. I broke my elbow this way even though I had elbow pads on. 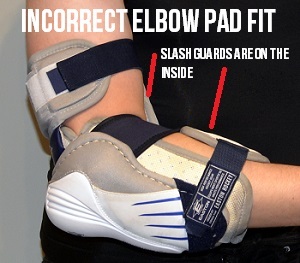 While fitting your elbow pads, consider how they will perform against slashes and falls. Elbow pads can easily last for years of heavy use with proper care. In most cases, the first thing to wear out is the strapping system. This can include the velcro losing its grip, or the straps themselves bagging out. This is easily fixable on some elbow pads but trickier on others, as sewing through hard plastic can be difficult without specialized equipment. As with most other equipment, an Under Armor-type base layer will help extend its lifespan by limiting the amount of sweat and dead skin that makes its way into the pad. Setting your equipment out to dry immediately after playing will also make a huge difference in keeping the materials from breaking down prematurely. Check the plastic shell for cracks once in a while. This is a relatively uncommon problem with elbow pads, although it does happen from time to time, and will substantially lower the protectiveness it can offer. Most shells are covered with a layer of foam or fabric, so make sure to feel around for cracks by flexing the shell with your hands. As mentioned earlier, cheap foam-based elbow pads offer very little protection, so it is worthwhile to buy ones with a full plastic shell instead. 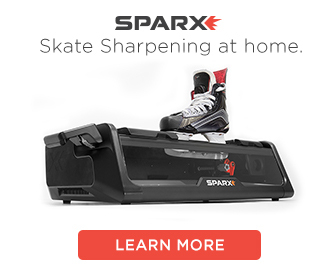 Even some of the cheaper plastic-shell elbow pads don’t protect very well, so I would recommend spending some extra money here – especially if you’re relatively new to hockey. Sales notwithstanding, look for a minimum price of $30-40 if you’re on a tight budget, but for solid protection, go for something around $60-90. Should I buy used Elbow Pads? Used elbow pads are fine, as long as they’re in decent shape (straps & velcro are relatively fresh, and no damage to the shell). 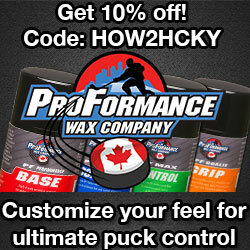 If you don’t have the luxury of a well-stocked hockey store nearby you may have to buy your equipment online. If this is the case look for an online store that has a good return policy, good selection and prices. 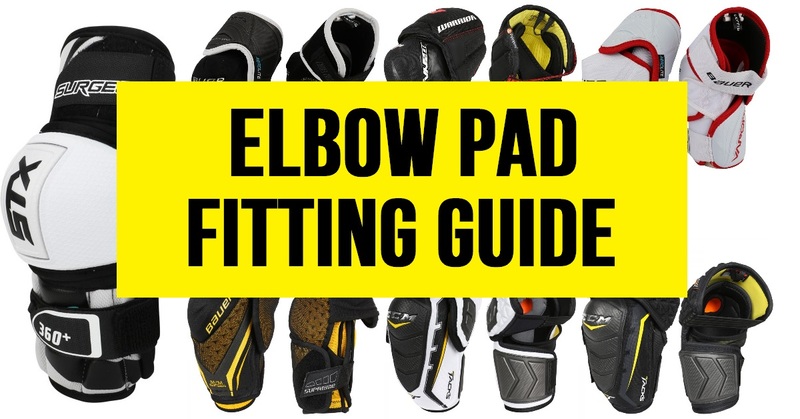 You can check your sizes according to these elbow pad sizing charts and see if you can try some friends elbow pads on, or at least take a look to get an idea of what style you like.